Notice the difference ? Yes ! I have a mantel!! Uncle John and I worked together a saturday morning and put this together while the hubby was taking care of Bug. First we measured and had to do a little bit of math, then we tacked 1x2 strips of wood to the the studs. 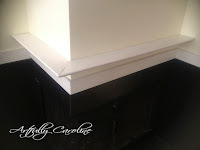 And after more measuring and more math, the crown moulding came under the ledge. 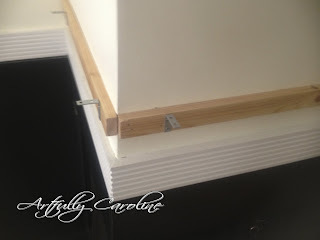 I'm terrified of using a circular saw so Uncle John did all the cutting but I was a champ using the drill and mail gun. Then came sanding, caulking, painting. But it's finished now. And the result is way beyond what I had hoped for. I can't wait to decorate for Christmas this year. It's a bit early for it though. 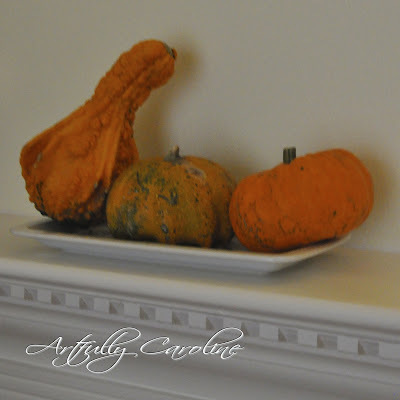 So I did decorate for fall and of course Thanksgiving. I'm just happy, really happy about my new mantel. 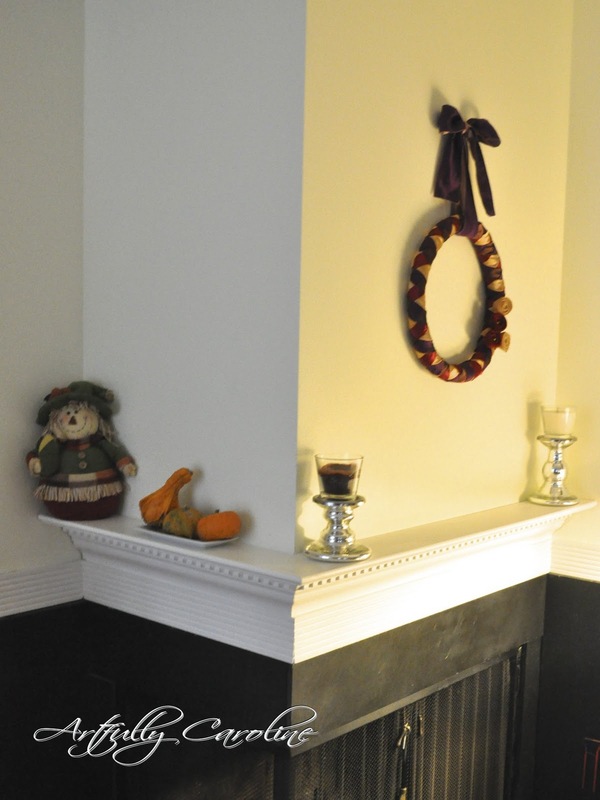 I like your mantel. Girl, if you can use a nail gun, I'm sure you can use a circular saw. I was thinking the same thing a few days ago when using my compound miter saw. The blade looks scary but I always try to do one thing that scares me. Try it next time, I bet you'll feel a great sense of accomplishment! Hi! Stopping by from its fun to craft. 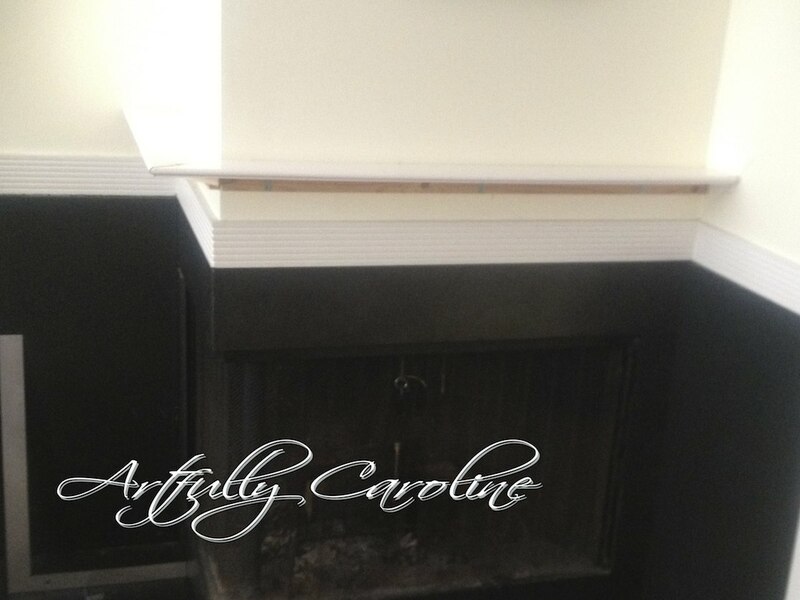 Love the new mantel! Your stockings are going to look gorgeous there. I would love for you to link this up to my Friday link party as well :) See ya there! This looks so amazing. It turned out great. Thanks for sharing. I would love it if you could link this up to our linky party going on right now. Oh my gosh I can't believe you made this!! It turned out so so great and looks professionally done. Thanks for sharing at this week's BFF Open House! 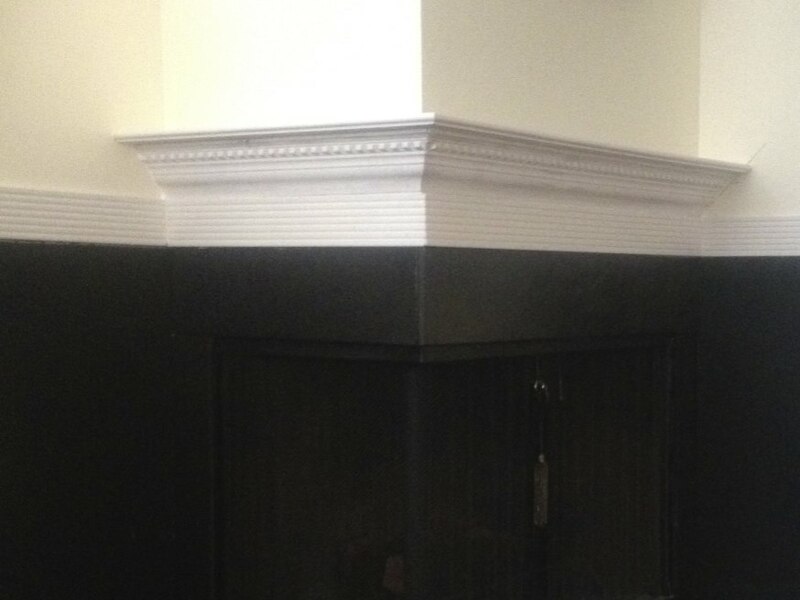 Great work on that mantel! It looks so professional! Wanted to let you know I featured this as part of my link party wrap up and features! Please feel free to grab a featured button from my sidebar if you like. Wow --- what a great idea! It looks absolutely beautiful. Thanks for sharing! I LOVE your mantel! The chunky molding looks awesome above the fireplace and gives you so much display space. Jealous! It turned out fabulous! NIce job! So great! 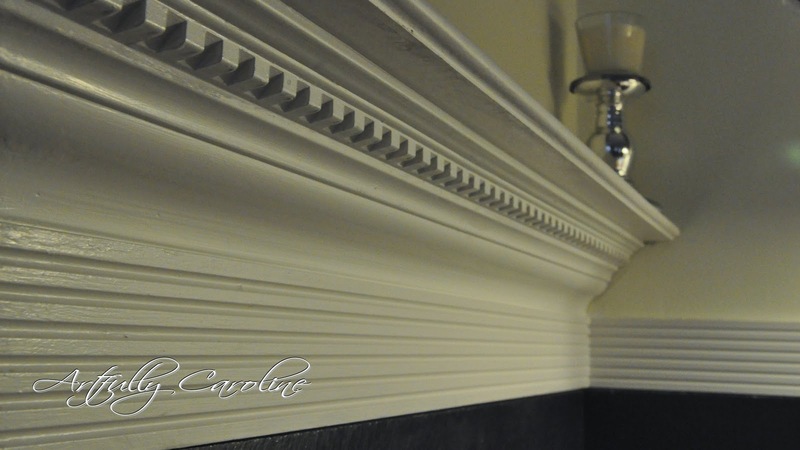 I love the moulding! It is terrific, you guys did a fantastic job! 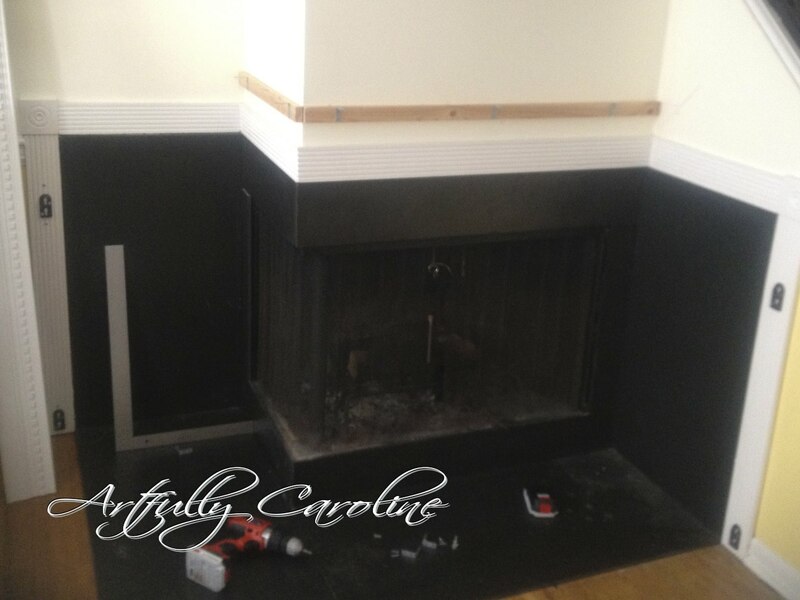 You totally inspired me to do something to my fire place. Thanks for sharing! Found you through link party. That looks so nice. Makes me wish I had a fireplace! Cheers! what a great addition to what you were already working with. 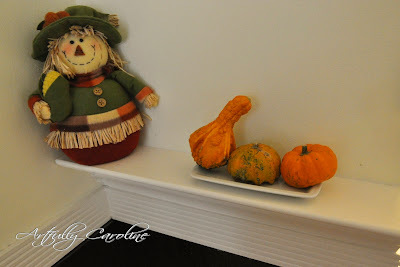 i'm sure you are super pumped to decorate for winter holidays now. Wow, this is the exact same fireplace I have! Next to the staircase, wrought-iron bars, black slate floor... everything. I live in Reston, VA. 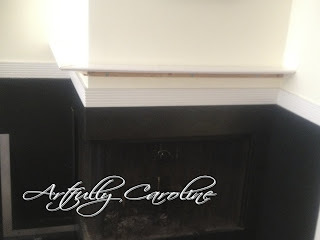 I've been looking for ideas for a mantel that fits my kind of fireplace, and this is it! Thanks!